The week’s carnage on the Wall Street fraud front: LIBOR investigations ensnare almost all the major banks—estimates of damages of more than $20 billion are front page news. JPMorgan Chase now says its London derivatives trades cost nearly $6 billion in losses, and were a major failing in oversight and management. HSBC admits major failures permitting large-scale money laundering. Wells Fargo admits it discriminated in issuance of mortgages, charging minorities more than it should have. And this is just one week. And how does Wall Street respond? By refusing to admit there’s a problem, by clinging to power, and by frantically dodging blame. What to make of all of this? Wall Street has the same mentality as the Penn State leadership: Brush things aside, ignore first principles, avoid the tough ethical choices, go for the short-term money and profit. That has been corrosive to the ethic of our economy and the trust that should undergird our financial sector. Interesting idea, but I’m not entirely sure if this comparison works. The Wall Street corruption of which he speaks is essentially a matter of bankers making additional millions through illegally acquired information to benefit already hugely rich banks. That’s arguably very bad for the United States, but it’s not really anything like longstanding sexual abuse of children, even if the cover-up tactics and denial of responsibility are similar. Such responses are fairly common ways that institutions try to address problems, especially, as in the LIBOR case, when the violation itself is quite complicated. 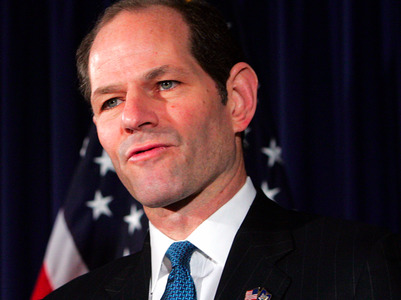 Spitzer, to his credit, simply resigned the governorship of New York in 2008 after The New York Times discovered that the governor routinely patronized prostitutes.